Video Distribution Amplifier (BNC - Standard Analog) - (1) Input, (2) Outputs. 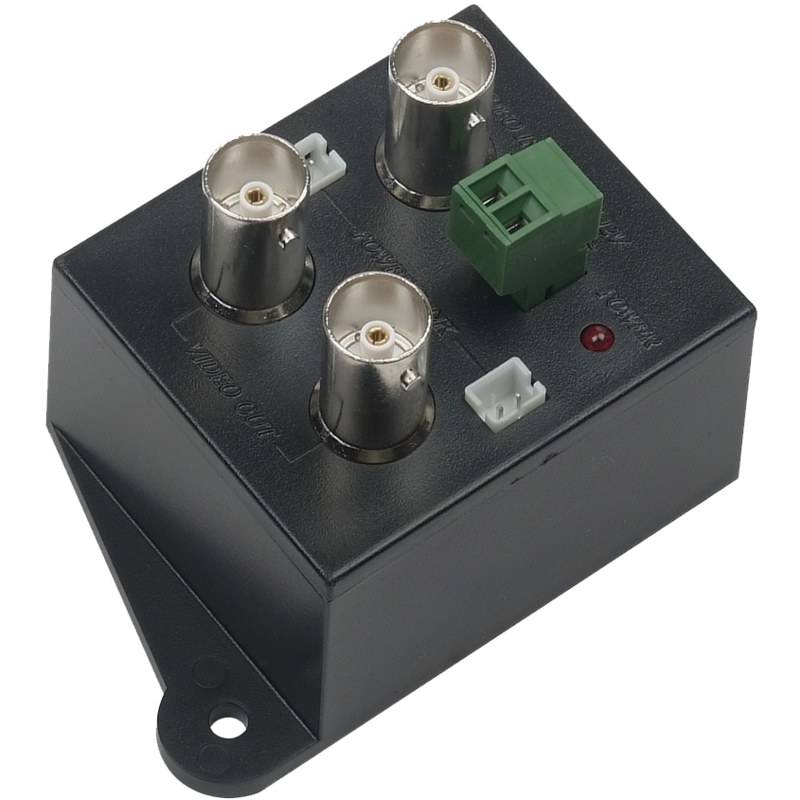 Takes 1 BNC video input and distributes to 2 BNC video outputs. 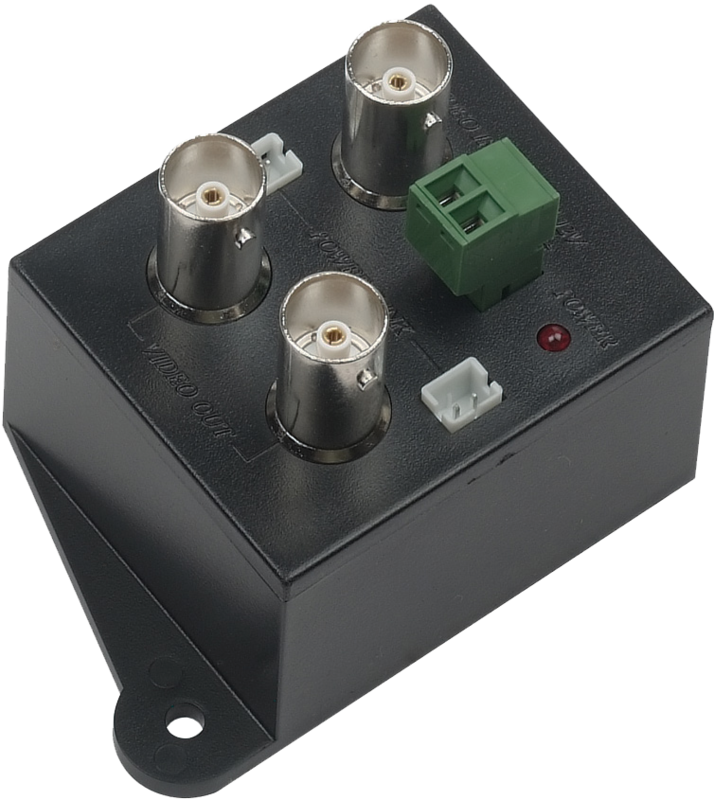 Perfect for displaying a camera on a separate monitor or PVM and recording onto a DVR. 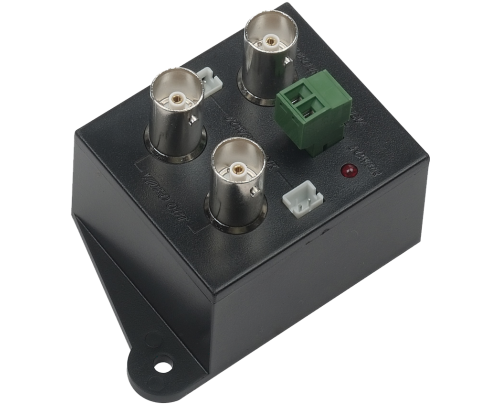 Amplifies signal, eliminates video degradation & reflection. Improves video quality by maintaining correct video voltage and ohms. Includes 12 VDC power supply. 42.2mm x 72.7mm x 46mm / 1.66" x 2.86" x 1.81"